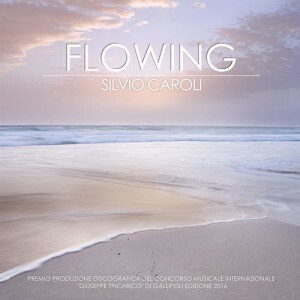 The album I would like to present today comes from Italian pianist and composer Silvio Caroli. His album “Flowing” is the result of a prize in a competition in Italy which he won and which allowed him to produce this record. It was released in December 2018 and found it’s way to my desk last month. 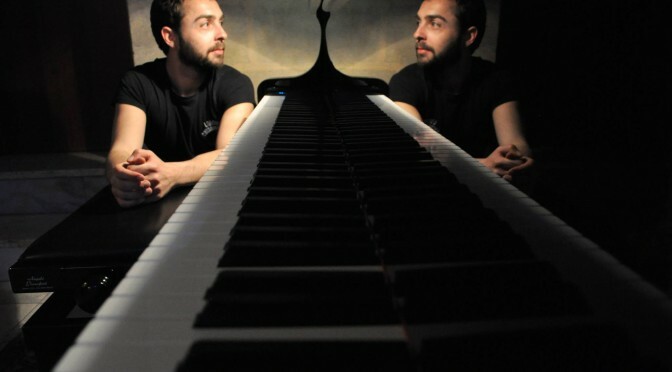 Silvio Caroli is a pianist, composer and educator from Lecce, Italy. He graduated as classical pianist in 2005. In 2012 he received a jazz scholarship at the Lecce State Conservatory and he also studied Economics and Finance at the University of Salento. He works as a music teacher and sheet music arranger for musicnote.com. So we see, this is quite a talented and multi-facetted guy. The various influences, impressions and experiences are also reflected in this piano solo album. The album starts with “Into the Dark”, a composition from the book “Microrock” for piano students from Christopher Norton, a composer from New Zealand. The arrangement from Silvio Caroli combines this short tune with elements from “Pines of Rome”, a composition by Italian composer Ottorino Respighi. This combination works very well, the part from Christopher Norton is played very powerful while the Respighi’s part has this 19th-century impressionistic touch. A beautiful contrast. “Martha”, the second tune is composed by Eliel Lazo, a cuban percussionist and friend of Silvio. This tune is a soft modal composition and Silvio Caroli uses this harmonic frame to improvise in Ravel or Debussy-style, which gives this tune again this impressionistic feeling, which I like very much. The next song is called “Part of Your World” and is from the movie “The Little Mermaid”. Silvio Caroli starts this pop-ballad softly and gentle but increases the intensity and brings the song to a dramatic peak inspired by Liszt and Rachmaninoff. “Beirut” a composition by trumpeter Ibrahim Maalouf comes next. Silvio explained to me: “This song really touched my heart, I imagine that this song speaks about love and suffering at the same time, and for that reason I dared to quote the theme of Schindler’s List by John Williams in my improvisation. A lot of people appreciate the performance of “Beirut”, and that was a real surprise for me, because it is the most simple arrangement that I’ve ever made”. “And Sammy Walked In” by Michel Camilo is the next tune. Michel Camilo comes from the Dominican Republic and Silvio Caroli had the chance to lead workshops in Santo Domingo, so he met and played with musicians from that country. This tune is the tribute to his friends there and according to Silvio people go crazy (in Italy and the Dominican Republic) when he performs it in a concert. It is the most jazzy tune on the album and was also my favorite right from the start. The last song on the album is “Porz Goret” by French multi-instrumentalist and composer Yann Tiersen. He is famous for the soundtrack to the movies “Amélie” and “Good Bye, Lenin!” This tune is a soft ballad in 3/4 meter beautifully performed and leaving us listeners in a melancholic mood. What I like about this album is the very personal selection of songs and arrangements, combining elements from Jazz, Caribbean, classical and film music. 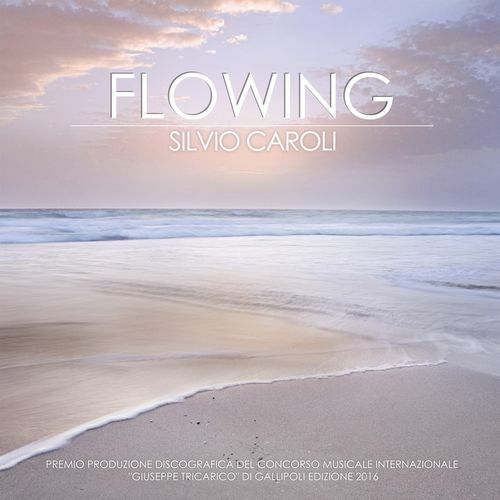 It looks like Silvio Caroli has found his individual voice and he created an impressive solo album. I am a big fan of impressionistic music and painting and this album is like an echo of this period that has been brought back into life.